The Alex Archer Collective barrels forward with The Spider Stone, the third entry in the Rogue Angel series. In this episode Annja is called into the American South to investigate a mass murder at the beginning of the Civil War. Discovered during the excavation of a warehouse, they were all killed horribly when the building above them collapsed. One of the slaves was the guardian of the “Spider Stone”, and ancient holy relic of the Hausa nation of Africa, given to them by the spider god Anansi. The stone also contained a map of lost treasure. Needless to say, a lot of bad people want to get the stone and the treasure. I would’ve hoped by now the fact checkers at Gold Eagle would catch major errors in plot. For instance, it is revealed that the slaves were massacred in 1861 by a psychotic white southerner using dynamite. Gruesome indeed until one does a little fact checking and discovers dynamite wasn’t invented until 1867. Oops. Couldn’t they have had the decency to go back and correct the errors in date? The rest of the story takes place in Africa. 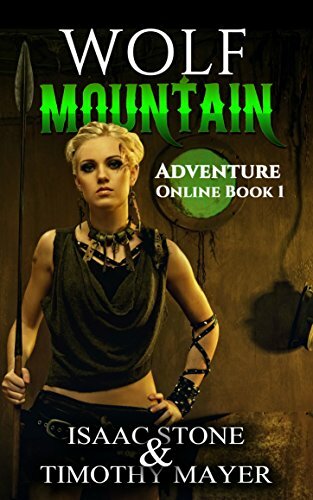 Annja has to contend with murderous warlords, treasonous oil barons and suspicious American agents. There’s an elderly Hausa woman named Jaineba who provides some balance to the story, even if she suddenly knows a lot about genetically modified grain. Naturally she’s against the oil barons who want to open up the interior for oil production. The real scene-stealer is a African warlord named Tafari. This psychopath, who charges into battle with his face skull painted, is the major highlight of the book. As has been said, the best villains do not see them selves as evil. Tafari is a creature of his environment but a believable one. I fear he’s too good an enemy to use for one tale. There’s not much character development in this episode with Annja. Which is a shame because she has the potential to be a prototype women warrior. Garin and Roux make appearances, but only the latter stays around very long. Still a welcome development in the series.